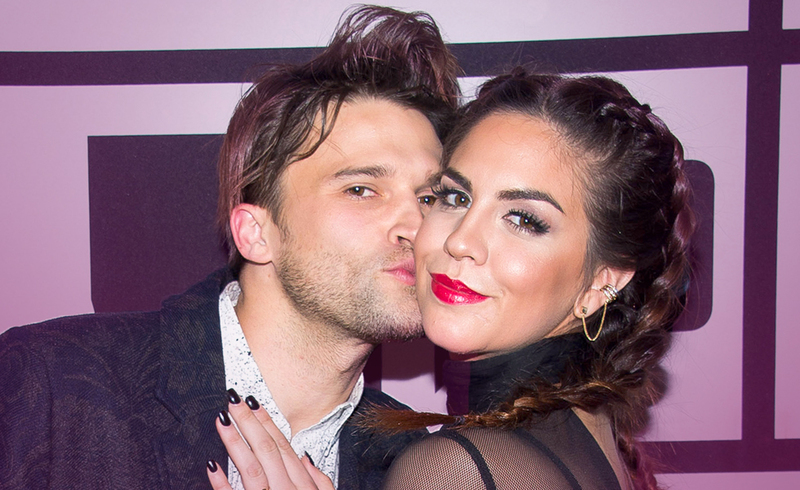 Will Kate Maloney and Tom Schwartz`s Marriage Last? Although most movies end when the couple kisses in front of the altar, that`s hardly the end of their relationship. In fact, that`s when the real challenge starts. You no longer have the freedom to just walk away from it all. But again, there are some, who don`t want to do that anyway. Especially not the young newlyweds, Katie Moloney and Tom Schwartz. True, it has only been a few months since they had their dream wedding. So, maybe it`s too early to draw a conclusion. According to the couple, they are enjoying “marital bliss”, being glad that they are finally at this stage. And of course that`s understandable. Getting married is stressful enough, not to mention when you have to do it in front of the whole world. Commitment, love, trust and fidelity are some of the most important qualities in a marriage. And it seems like this couple has really made the right choice in connecting their lives in holy matrimony. We all congratulate them, as their devotion is quite remarkable. It is more important than ever to make sure that kindred spirits find each other. And as we live in a world where nothing lasts for ever, one can only hope that there are exceptions. So, let`s draw some cards for the newlyweds to see what is in store for them. Is this really a match made in Heaven, that`s supposed to last a lifetime? Let`s find out. Ace of Swords Although their relationship has great potential, it is up to them to use it wisely. Just as the sword has two edges, their passion can go either way, if they aren`t careful. There is but a fine line between love and hate. Although the final destination isn`t clear yet, they have already put a lot of effort into the relationship. The marriage brought mental clarity and peace, although it is still fragile. Ace of Wands They don`t know what the future holds, and they take one day at a time. And that`s OK! With continued effort and enthusiasm, they will succeed and the bigger picture will slowly unfold. They have every chance to make this last, but just as the other card shows, they are at the very beginning. This is new territory, which might bring with it a certain amount of uncertainty. Patience is key here, both towards each other and their own self. They will get where they want to be in due time. Well, as and when they figure out where that is. Page of Pentacles This card represents the desire to make their dreams come true. And although it doesn`t guarantee the success, it isn`t about that really. The path that leads both Katie and Tom towards their destiny is the most important. They chose to walk this path together. If they keep their attitudes, they will be able to enjoy a long-lasting and happy relationship. Previous ArticleCan your intuition save you from danger?Next ArticleWhat touched RHONY Bethenny Frankel ’s heart this week?